Heaven did let its light shine down on a rockin’ crowd at Tachi Palace Hotel & Casino on September 6. 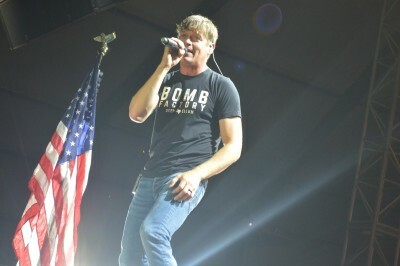 Everybody in the attendance was all aboard on The Rock & Roll Express Tour as Lemoore was the destination for the 90s-rock radio staple, Collective Soul, and the patriotic multi-platinum sellers, 3 Doors Down, to steamroll through. This lineup evokes memories of nostalgic days when MTV used to play music videos, the record store was the only place where you could purchase songs, teens jumping up-and-down on their beds playing air-guitar was their resort to venting their youthful frustrations, and the lyrics inside the sleeves of the albums defined your life at that point in time. The evening was permeated by dry Kings County dust and the scent of dairy filled the air, but once show time arrived, Collective Soul had the attendees feeling like it was December (pun intended) and afterward once the headliners, 3 Doors Down, invaded the stage that whiff of dairy was replaced by the aroma of kryptonite (pun intended). 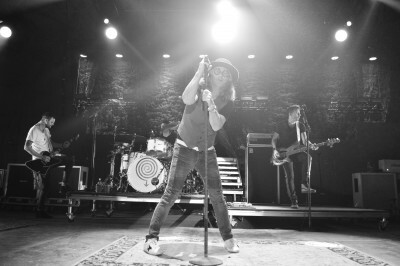 The Georgia Music Hall of Famers, Collective Soul, were 90s alternative poster children of an era when flannel and ripped jeans were the genre’s uniform, the videos were in black and white, and songs about dark content became jammin’ tunes that were appealing enough to both pop and rock radio. Ed Roland, the lead singer, on the verge of almost quitting the music industry, started out as not only a musician but as a producer, mixer, and engineer. He got some musicians together to record a demo in his basement and that demo was meant to demonstrate his talents and hopefully get his material sold to artists in the industry. Instead, because of the immediate popularity of the single “Shine” on local and college radio, they received a label deal from Atlantic, and the label insisted on keeping the demo as is and converted it into their debut album, “Hints Allegations and Things Left Unsaid.” Some of the musicians on the demo and the inclusion of Ed’s brother, Dean, on rhythm guitar, would become Collective Soul. Afterword, they maintained a consistent streak of charting hits throughout the decade like “December,” “Gel,” “Where The River Flows,” “Listen,” “Heavy,” and “The World I Know.” They experienced a resurgence in the 2000s when one of their 90s singles “Tremble for My Beloved” was put on the soundtrack to the first film of the “Twilight” series, “Twilight,” introducing them to a new legion of fans. The millennium hit makers from Mississippi, 3 Doors Down, were also recipients of good fortune during their origins. They recorded a demo CD, and it made its way to radio, and because of the buzz generated from “Kryptonite,” they were invited to play a showcase at the punk rock temple, CBGB, in New York. After that performance, they were signed by Republic (a label they are still with) and from then on, they went up from there. Kryptonite is Superman’s weakness, but it was the band’s strength as they emerged as one of the most popular bands in the early to mid 2000s. Their admiration rose once their music became labeled as being anthems for the post-9/11 world with the Iraq War and Hurricane Katrina with ballads like “When I’m Gone” and “Here Without You” when the country needed an emotional catharsis in dealing with the nation’s tragedies. 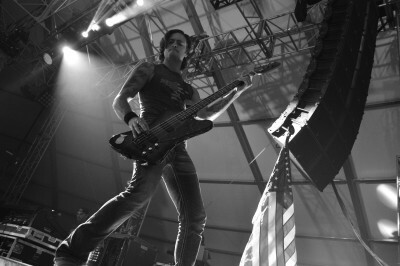 The band has been a fixture on the touring circuit of performing for our troops and doing charity work like The Better Life Foundation they created for children who need food, shelter, and medical assistance by putting on a concert, and the proceeds go to hospitals and organizations to helping children in need. Speaking from my own perspective, both of these bands supplied the soundtrack of what would be my upbringing during different times of my life. 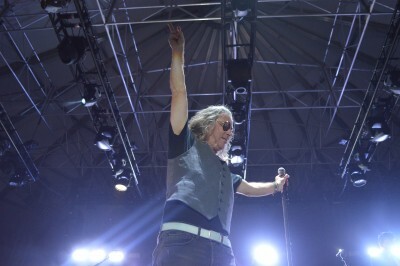 When I hear Collective Soul, it brings back memories of being a child in the 90s when their songs were played at family barbecues, favorites from cousins enraptured by the grunge scene, and there was no escaping the appeal of it when they were played everywhere from grocery stores, restaurants, or the video rental stores. 3 Doors Down was the official rock selection on every high school student’s MP3 or iPod for us millennials as their songs were on top of the playlist for every school dance in America. Your first dance or the song you played to confess your love to your crush was made possible by them. So, to say that the concert had sentimental meaning to me is an understatement. But as soon as the lights came on, it wasn’t about what they did or meant to me then, it was about what they did then in the now that’ll always stay with me. Collective Soul were the openers, but they were the furthest thing away of what entails an opener to be. They set the bar, tone, or whatever analogy you want to use, and owned the stage as if they were the only band on the bill. Ed, with his top hat, glasses, and vest to match, he was like The Mad Hatter and this was his “tea time” to go crazy under the dome they played in that became his own little Wonderland. Three songs in they unleashed “Shine” on the audience, but they played it like it was a closer. In the running time of their live rendition of the breakout hit that made them famous, there were solos, crescendos, it felt as if the madness wouldn’t end but they were just getting warmed up. The bassist Will Turpin, did a spread eagle jump off the drummer’s riser and finally the song ended. There was still more to come. Surprisingly, some familiars who attend the same shows I do informed me that they were being instructed by the security to sit down. What? That’s when Ed took the initiative and asked “What the f— are you doing sitting down?” He barked commands at the spectators with more authority than R. Lee Ermey’s drill sergeant character in Full Metal Jacket and dared them to “Stand the f— up, this is a rock show” and proclaiming “We are a rock band!” They flipped through their whole catalog of classics and new songs, and then it was time for “December.” Ed rolled out with his twelve-string acoustic guitar to show that things just got real. If anything, this was a clinic for lead guitarist, Jesse Triplett, to shine…literally. From the way he posed with his guitar and shredding through the strings as if he was trying to win the lottery… it was guitar playing at its finest. At the end, they stood in unison together, like a band of brothers while Ed continued to play his twelve-string, and once they all walked off…against an empty stage where we still heard Ed playing. After a few moments of this, it was all over. The reigns were now passed to 3 Doors Down. With American flags on both sides of the stage, they came out with the intent to have you salute them and pledge your allegiance to their music. The flags were both placed on risers so the stars had the chance to appear larger than life to their fans. They are a rock band, through and through, from image to stage presence. 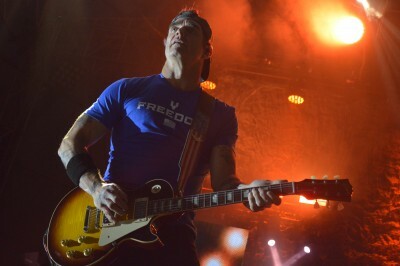 Lead singer, Brad Arnold, roamed around every square inch of the stage, the spotlight had to keep up with him. He put so much soul into vocals that he needed two hands on the mic to steady himself in order to express his emotions through his singing. 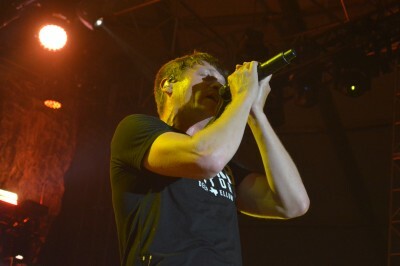 3 Doors Down Lead Singer Brad Arnold had the Lemoore crowd saluting the band when the night was done. They fired a projectile of all their definitive hits like “Let Me Go,” and “Kryptonite” and delivered their new singles with some Southern grit. 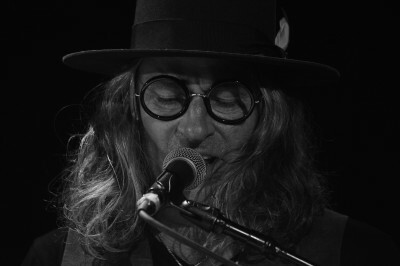 Then of course, the vibes got mellow as they dived into their ballads with “When I’m Gone” and “Here Without You.” It didn’t matter if the songs were fast or slow, loud or turned down, the showmanship never wavered. Actually, Soul Asylum, another 90s-rock act from the fame of “Runaway Train” was a part of the tour, but Lemoore was one of the dates where they didn’t make it out. Still, these two established groups showed why they have been consistent veterans in the rock world. 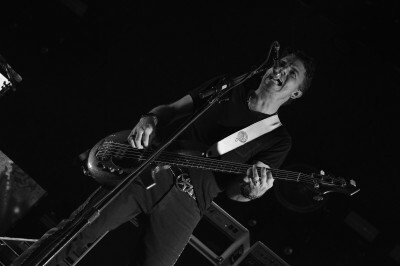 Collective Soul has nearly three decades under its belt, and 3 Doors Down have over two, proving that as we near closer to the next decade of the 2020s, the express train shown in the posters and trailers of the tour is a perfect symbol of their persistence that they show no signs of slowing down anytime soon and that they are still having the time of their lives.